You might have noticed I don’t write many blog catch up posts. On the rare occasions that I do, I always feel like I am on the slippery slope to writers’ block or losing the blogging buzz. The truth is that I simply haven’t had the time to blog much this month or last. My in-box, my phone voice recordings and even the back of my hand are full of snippets of ideas, scrawled down or hurriedly and self-consciously muttered into my mobile. I’ve no shortage of plans, drafts and photos. Time and energy are what I’m short of, sadly. The mid-term break seems to have swung round pretty snappily this year. School started back in mid-August. It was hot. We were still shorts and had the pool up in the garden well into September. 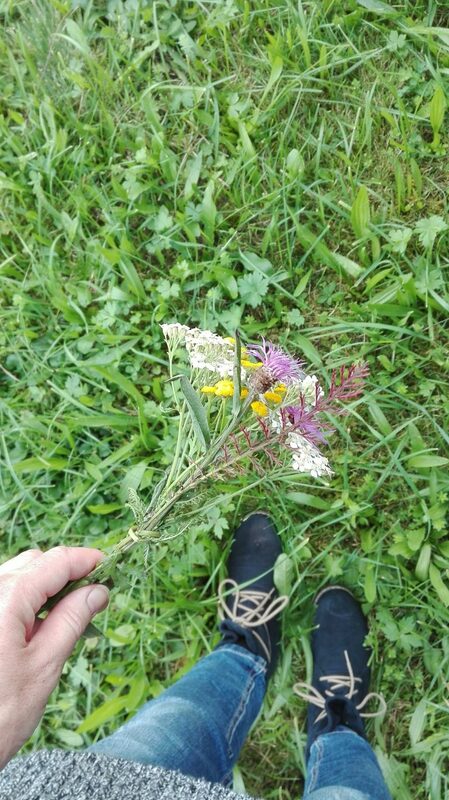 We ate outdoors and went to bed late, for school nights, for the first three weeks of term. School seemed a minor interruption in our extended summer. Autumn is well and truly here, but the mid-term break starting on 30th September just seems wrong. I can’t shake the “they’re barely back a wet week” feeling. Not that there were many wet weeks. It was still summer for half of term. Having the boys at home and being off work has been great. If it wasn’t for me having to keep an eye on work stuff despite being off it might have been even better. If it hadn’t been for my cold, it could have been fantastic. I’m a naturally healthy person. I don’t remember ever meeting our family doctor as a child. I know his name but I have no idea what he looks like or where his practice is. Needing an antibiotic – for only the second time in my life – to shake off the cough that kept me, and by extension the Bavarian, awake several nights in a row came as a bit of a shock to me as has being off work sick. Its not my usual style. Three migraine auras in two days due to lack of sleep knocked me about a bit too. The cycles, museum trips and general out-and-about-ness that the boys and I had planned came to nothing. We pottered, baked, gathered walnuts and figs in the garden, watched and were enthralled by Cooked on Netflix, walked the dog and had a go at making slime (recipe here). This afternoon, feeling sorry for them and feeling better in myself, I treated them to a trip to the cinema.They laughed their heads off. I was glad and then napped, unintentionally. It looks like sleep is something else I need to catch up on. P.S. 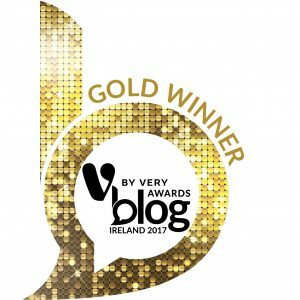 I won the Diaspora Blogger category on the V by Very Blog Awards in Dublin last night. Thanks for the link. I hope you are feeling better now and congrats on your win. Thanks Naomi. Congrats to you too. We’re home from holiday now and all relaxed and healthy again. Congrats on getting awarded by Very Blog Awards. It’s a big achievement. Best luck for your future journey. Aaaah I’m SO thrilled for you!!!! Delighted that you won an award!! A proper one, with a real ceremony behind it!!!! I would LOVE to win a proper award; I was nominated Blogging Edge winner, but it all felt a little empty. There was no proper award. Totally well deserved Fionnu!! Thanks Caro! You really deserve one. I can’t believe you haven’t gotten one yet. An injustice! I reckon the diaspora area is less crowded than parenting, crafts, interiors, food or travel, so I’m lucky not to have as much competition I suppose.